The debut album of Aeoga, titled as ‘COAV’, presents original and haunting material based on spiralling dark drones, eerie guitar feedback textures, archaic drum and cymbal patterns, atonal vocalizations and distant, peculiar sample textures. The eight tracks of the album offer material ranging from organic dark ambient, archaic & ascetic horizons to dark and haunting tribal, ritual atmospheres. To exhaust mind and body in order to obtain a condition of non-consciousness and thus receive, realize and create material based on both primal and absent vision. Total running time: 65:52. The regular edition comes in a special octagon shaped cardboard covers including an 6 panel textured cardboard sleeve. Limited to 1000 copies. 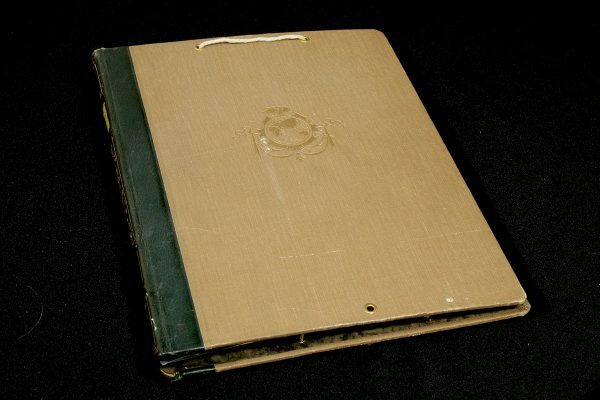 The ‘COAV’ box set is build in c. 75-years old book covers and includes the regular edition of the album and two unique collage artworks. The box set is numbered and limited to ten pairs and each pair share between themselves an unique collage artwork.